“If there is demand we will follow it,” says Simon Scott of DGM Growers, a large UK company with a reputation for innovation. 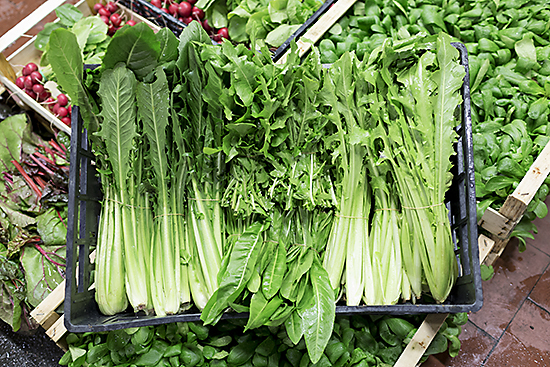 New products include pak choi, choi sum and apricots grown in Kent. But chicory is their most intriguing line. 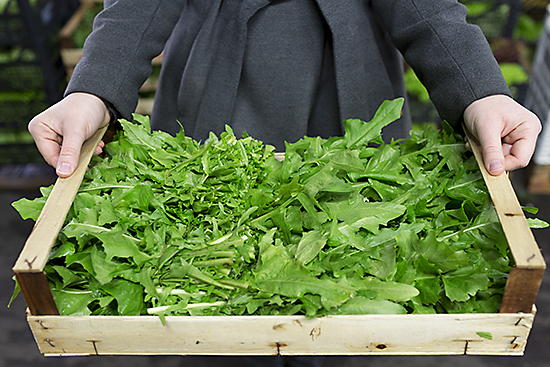 Here in Britain, cultivating this niche product is both an opportunity and a challenge - only 1 in 4 people buy chicory at some point in the year. “Comparing the European culture to ours is not like for like,” Scott says. The British tend to know only one variety of the plant (vaguely) well: the forced Belgian type, often known as endive or Witloof. DGM supplies 90% of the UK market for this variety, forcing these chicory roots in darkness using high-tech hydroponic systems. Another challenge is the bitterness of the leaves, a quality highly prized in countries such as Italy. Here, bitter foods are less popular and food manufacturers tend to prioritise sweetness. 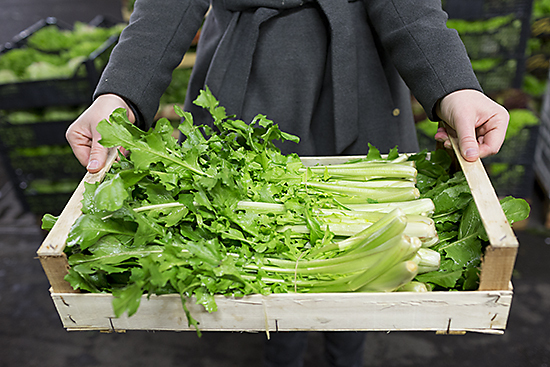 This Product Profile aims put this right – showcasing some of the varieties of chicory sold by wholesalers here at the Market, such as The French Garden and European Salad Company who import from France and Italy. Chicory is a species of plant with almost infinite variety, including the bizzare Puntarelle and elegant Tardivo. Read on and this article will cover these varieties and many more, which are in peak season at this time of year. 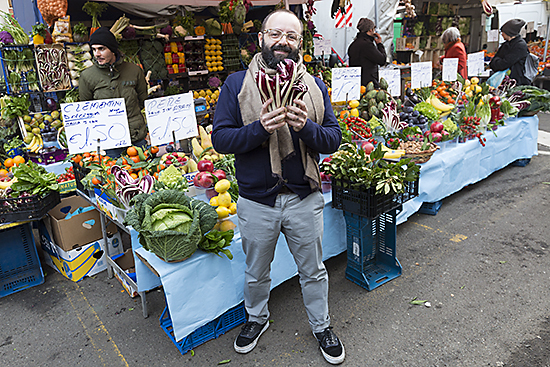 “It’s not easy – we have 2,000 stories about the naming of this food,” says Luca Leone Zampa (pictured below), chef at Sulle Nuvole restaurant in Milan and partner at Originàrio, a company which delivers boxed sets of Italian artisanal food products. He offered his kind help with some of the cooking suggestions in this article. 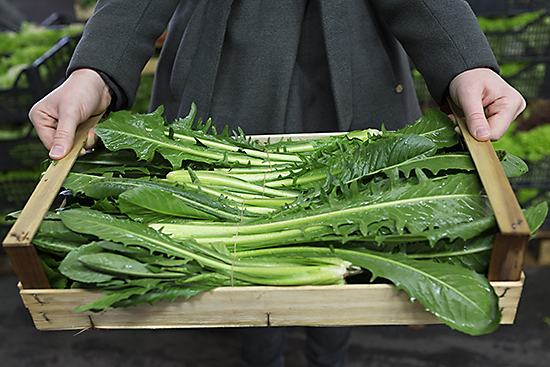 With time, perhaps British growers will find a public that is more clued-up to the joys of chicory in all its forms. This odd looking plant is a firm winter favourite in Italy, especially around Rome. Peak season for availability in the UK is from November to February. The classic preparation is for a salad dressed with olive oil, anchovy and lemon juice. 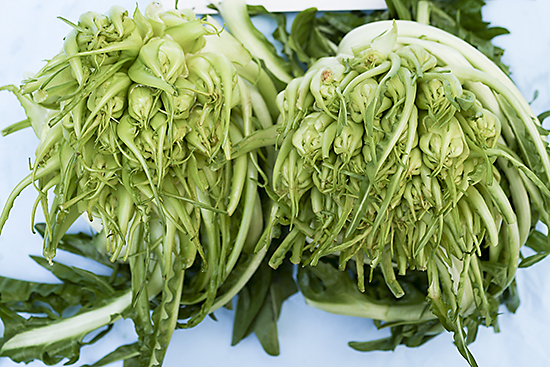 You strip the outer leaves to reveal the inner stems or stalks – the “puntarelle”. Preparation of these requires some expertise. You’ll find full details here and here. You can also cook the outer leaves following some of the techniques below. 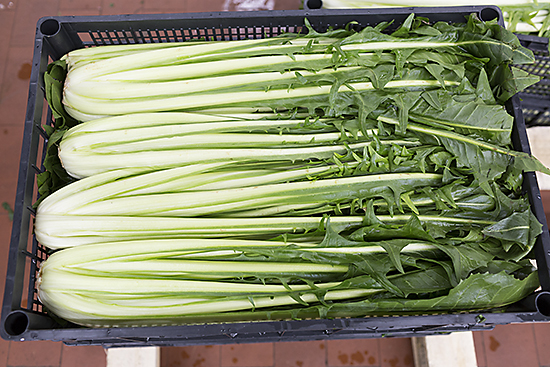 Names for this plant vary around Italy, but this is closely related to the puntarelle. The key difference is that it has no heart. Typically, this might be cooked in Italy by boiling the chopped leaves in salted water, draining well and then sautéing in pan with extra virgin olive oil and garlic, finishing with a grind of pepper and / or a pinch of chilli flakes and squeeze of lemon juice. The names for these two varieties vary across Italy. The picture above illustrates a sweeter variety; below is more bitter. Catalogna Scarolata is often cooked first in salted water as described above. In the south of Italy it is sometimes served with anchovies. The bitterness of the plant increases with age. Like the sweeter type, it can be grown outdoors or under cover in a greenhouse. This is also known as “Crazy Chicory” on account of the shape of its leaves. In spring the plant produces beautiful yellow edible flowers. 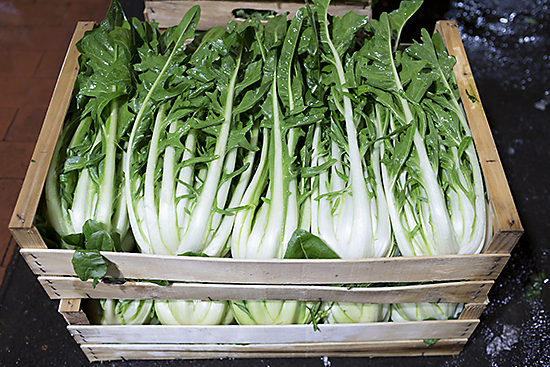 This is a typical chicory in Rome, where it is served as a side dish, fried with olive oil and garlic. It is also eaten raw in salads or in a risotto. 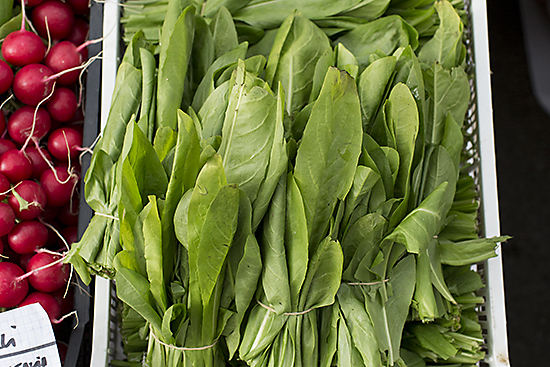 These chicory leaves have a mild flavour. As a result, they are not cooked and are often chopped finely to be used in raw salads, sometimes paired with raw onion. 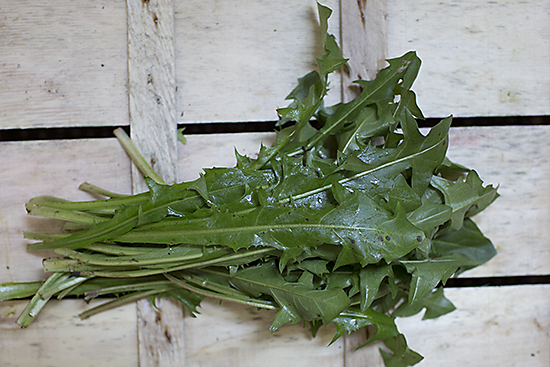 There are many varieties of wild chicory – this image is of one sold in Milan. Their flavour tends to be more bitter than the cultivated types. 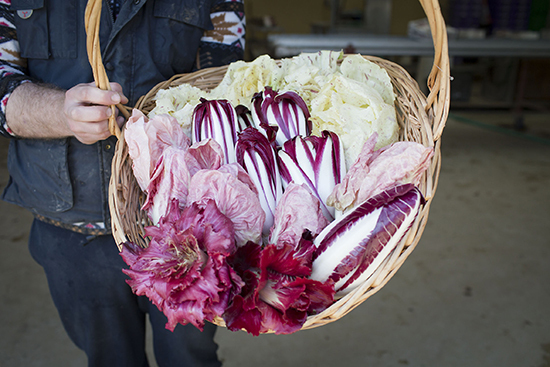 In Puglia, in the south of Italy, a classic rustic dish is boiled chicory with mashed fava beans.